We're no stranger to Kriega luggage here at J&P Cycles. Several of us ride with their luggage on a regular basis. I'll be putting the spotlight on their Urban WP Messenger Bag. I've been commuting almost daily with the Messenger Bag for over two years now, and have accumulated tens of thousands of miles with it slung over my shoulder. Brass tacks: it's awesome, and is worth well beyond its premium'ish price tag. Even (or especially) when rode hard and put away wet, Kreiga's Messenger Bag is an ideal commuter bag that's in it for the long haul. The main body has a 16 liter capacity, making it a liter larger than Kriega's smallest backpack, the R15. It's not huge, but as a bag that is carried with a single shoulder strap (and optional waist strap if needed), it shouldn't be. Mega storage is the territory of the dry bags, saddlebags, and even the larger backpacks. 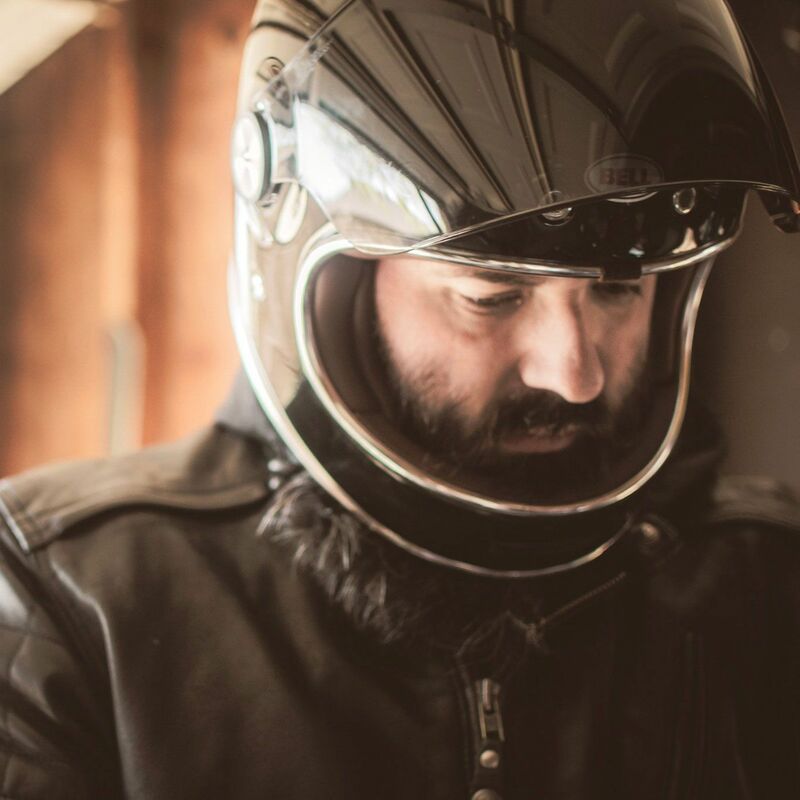 The main compartment is a single large opening that is signature Kriega roll top, complete with removable/washable waterproof white dry bag liner and buckles to keep everything locked down and in place. Rounding out the storage are two zippered pockets; one in the top flap with a clear plastic window (great for documents, notebooks, and writing implements), and one on the outside of the main body (which is well suited for tools, cleaning cloths, and other small miscellaneous items). The bag also has loops to strap a pair Kriega's US-5 Drypacks to the bag, expanding total storage by up to 10 additional liters. I've never taken advantage of that feature, but have carried soft items externally (rolled up blankets, rain jackets) by tucking them under the top flap and using its compression straps to cinch them down to the body. It's constructed of all the cool materials Kriega employs in their products; Hypalon, 1000D Cordura, 420D ripstop nylon, 6061-T6 aluminum alloys, acetal plastics, and YKK zippers. These are all materials which are incredibly resilient, and should theoretically withstand a ton of abuse for a long period of time, which they do (oh, you have no idea...just wait for it...). The shoulder strap has two slick features, one of which is even patented. The non-patented one is that it's reversible so you can wear it over either shoulder. What is patented is a unique tensioner ring that can be tightened or loosened easily with one (gloved) hand, allowing you to adjust for comfort or load size easily, even while riding. There's nothing else like it, and it makes daily use convenient, comfortable, and easy. Some products make overblown proclamations about being waterproof, then leak like a cheesecloth boat when actually exposed to water. Not so with Kriega. 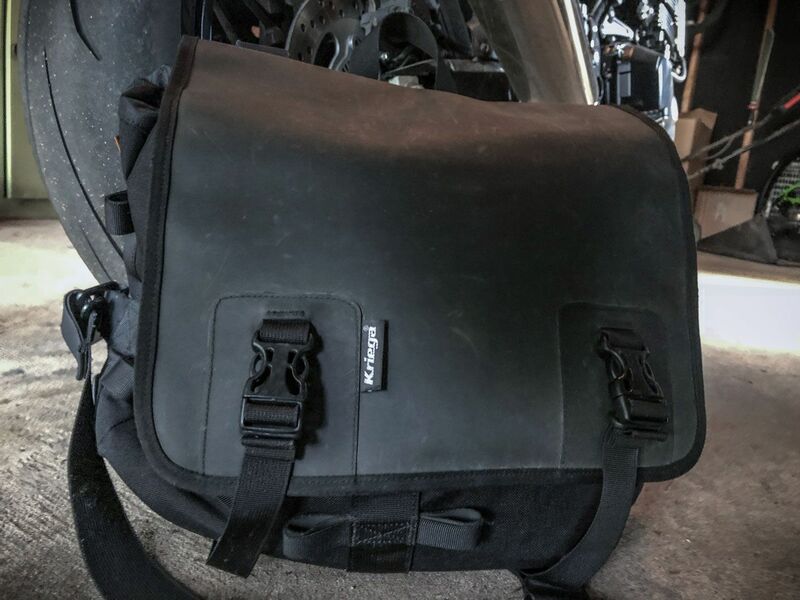 The main compartment of the Urban Messenger Bag is completely impervious to water. It's withstood a ton of rain without the contents inside becoming even slightly damp. The clear windowed pocket on the top flap is not exposed to the elements, so its contents also remain dry. The outer pocket is technically only water resistant, though. It employs a YKK Aquaguard zipper which seals when zipped up, and the 420D nylon of the main body keeps water at bay rather well, but items in the outer pocket can get damp after a few hours in the rain. The overall storage capacity is excellent. It holds enough to make it a great everyday carry bag, or an overnight bag for a weekend getaway. For my daily commuting, it carries my lunch, a multitool, flashlight, microfiber cleaning cloths and shop towels, my insurance documentation, a couple of notebooks, pens and pencils, a hat, a bandana, gum and mints (because road breath is bad), and a handful of other miscellaneous items, with plenty of room left over. I've stuffed it full with changes of clothes, extra shoes, and all my personal effects and toiletries for longer weekends. It's also great for making quick grocery store runs, and can hold a gallon of milk or a six-pack of beer with ease. It gets a little heavy and unwieldy at that point, but thanks to its innovative shoulder strap and waist strap, remains manageable. My EDC (plus some papers, notebooks, pens, and pencils in the top flap) all fits, with room to spare. There isn't much to complain about. It requires some serious nitpicking to come up with any negatives. You could ding it for the rear pocket not being 100% waterproof, but it still withstands hours of rain and has never been an issue for me. The main compartment being nothing more than a big rolltop bag is a bit inconvenient if you want to be a bit more organized, but Kriega solves that by offering a variety of organizers and laptop/tablet sleeves, as well as the upgraded Urban EDC Messenger Bag which takes the messenger bag design and gives it more compartments and outer pockets, though it likely sacrifices some water-resistance in the processes. The pull string on the tensioner ring is also prone to wearing out and breaking over time. Mine eventually snapped after 1 1/2 years of daily use. You can rest easy, though, with Kriega's no hassle 10 year warranty on the bag. I had a new string within a few days, and it only took a minute to install. I picked up my Urban Messenger Bag in January of 2017 and rode with it daily until that June. That's when I was involved in a wreck. As a result of this wreck, my bike was totaled, I spent three days in the hospital, my helmet looked like it had a fight with a cheese grater, my Speed & Strength riding shirt was destroyed (better it than my skin, of course), my jeans were shredded, the asphalt burned a hole through the Cordura nylon shoes I was wearing, and my Kriega bag...was...kind of dirty. Despite rolling and sliding down the asphalt and coming to a stop on my back literally on top of the bag, it only had minor scuffs and some dirt on it. Not a single split seam, broken buckle, or serious road rash on it. This thing is nearly indestructible. It's the Toyota Hilux of motorcycle luggage. My bag post-wreck, taken the day after I was discharged from the hospital. No damage, just some scuffs and dirt. So there you have it. 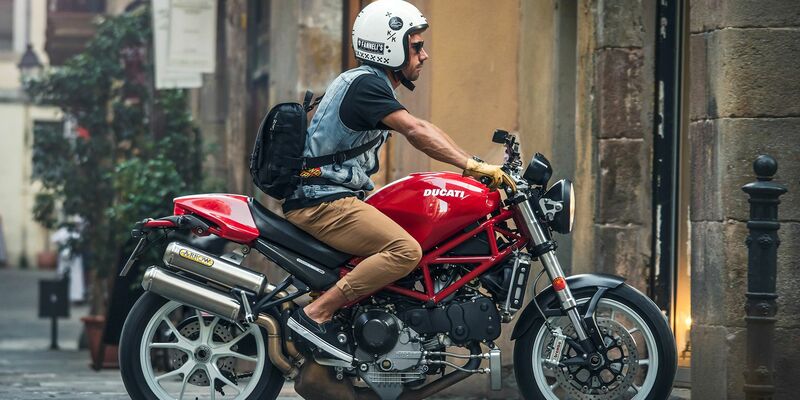 The Kriega Urban Messenger Bag holds up to the brand's reputation and rigorous quality standards, and then some. It's a worthwhile (if not necessary) addition to your luggage game, especially if you're commuting. Graphic designer for J&P Cycles. I'll ride just about anything with two wheels, but have a particular fondness for Japanese muscle bikes, old and new alike. Current ride: 2018 Kawasaki Z900 RS.